Emerald is the perfect color for the year. Not only is it my birthstone color, but it's such a beautiful color for all seasons - especially spring! I knew I had to wear this D.Brand jacket out as soon as NYC got a taste of some warmer weather (It was in the 70s! Though now, it's been steady in the high 50s.). It's such a fun, light spring jacket, ideally suited to keep warm from the chilly breeze but enough to keep cool in sunlight. You've probably noticed that I don't usually put my hair up, but Danielle of Vintage Danielle suggested I should try it. I put it in a simple pony tail but as you can see, I eventually took it down. Haha, guess habits are hard to break. That's a great jacket! Love the color and your necklace is exquisite. Omg!!! you look perfect, i love your necklace, dress and shoes so much, you rock babes. The jacket looks so cool. Love the colour and love it paired with the white dress. Gosh, great jacket color. So perfect for Spring. That jacket is such a pretty colour and I love the dress too, it's perfect! You look great and I totally want to steal that jacket! Your outfit looks fabulous and I love the colour of the jacket. That color is so in right for spring! Fun! What a great color on you! Love it. Really nice jacket. This color looks so great on you! Pretty dress, too! Great jacket and I love the dress you paired it with. So whimsical, totally my style. super adorable outfit!! i love your necklace! 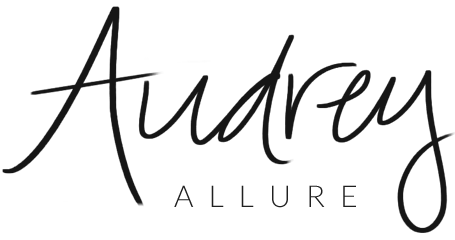 Audrey I love your lipcolor!!! That is such a pretty dress Audrey! Thank you so much for visiting my blog! Would you like to follow each other on GFC, Facebook, & Bloglovin? Just leave a comment on my blog and let me know. Thanks:)! That's such a lovely color too ! I love the whole outfit. The colour of the jacket and the shoes are gorgeous and perfect with the flowy cream coloured dress. Very nice. This is a really cute spring jacket. Hi sweety, you look gorgeous, love the colour of your jacket, the beautiful dress and the heels are perfect! Such a pretty jacket, you look great! I love the color of your jacket! You look so pretty. And those shoes are just fabulous! You're such a pretty lady. I love the fun pops of color and emerald looks fabulous on you. Thanks for trying out the ponytail, you're adorable! I was thinking more of a high ponytail next time or whenever. Thanks for trying out my suggestion. I can't wait to see your next outfit post. LOVEEE the color of that jacket, its perfection! Great look Audrey! Beautiful photos! Great jacket. Your hair looks pretty pulled back...very sleek! I love your jacket! The pop of color is so fun! Which reminds me, I totally need a spring jacket still! This jacket is a great color on you! Lovely outfit! I love that dress and the shoes are fabulous. That's a great jacket, I love how you combined it with those shoes for a pop of color. Emerald is a perfect color on you- soo pretty! gorgeous jacket, I love the color! The jacket is a great color, but I especially love the flowy dress! So pretty! I love the jacket and the color of the shoes! I agree, it's such a gorgeous color! Perfect for the nice season, but also to add a pop of color during dreary weather. It's great year-round! Pretty outfit! I love the soft dress paired with this chic jacket! Beautiful styling! Gorgeous color, looks amazing on you! lol I'm the opposite... I almost never wear my hair down. I don't know how you ladies do it! i hate my hair up or back and wear it down more often too!